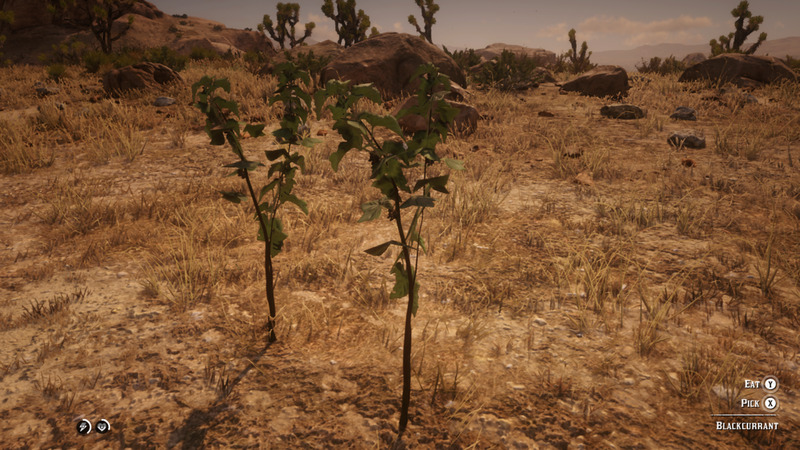 The Herbalist Challenges are Red Dead Redemption 1’s Survivalist Challenges except the Survivalist Challenges are something else so now they’re the Herbalist Challenges. If I didn’t confuse you there then you’re in the intellectual minority these days. Essentially this is a hippy’s dream but with Peacemakers, you just go around picking flowers. 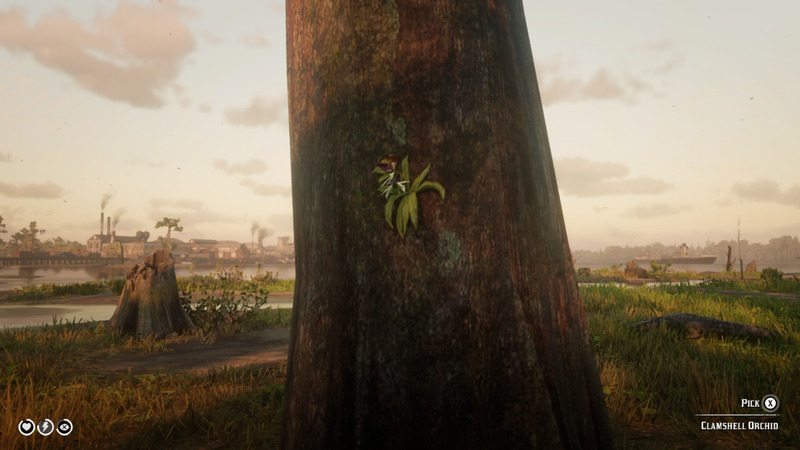 Since you Craft these plants into different things I recommend picking them until the game tells you that you can’t carry any more. 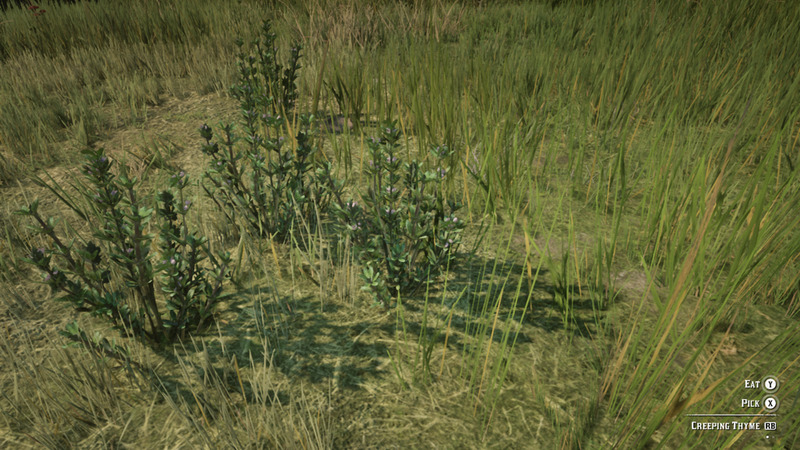 You can also sell Plants to the Doctor and General Store to make some early game money. 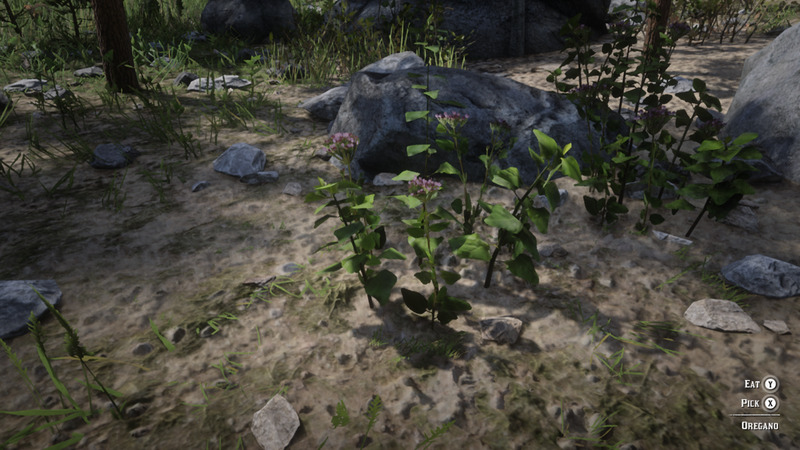 Make use of Eagle Eye (Left Stick+Right Stick Buttons/L3+R3) to help spot plants as you explore around. 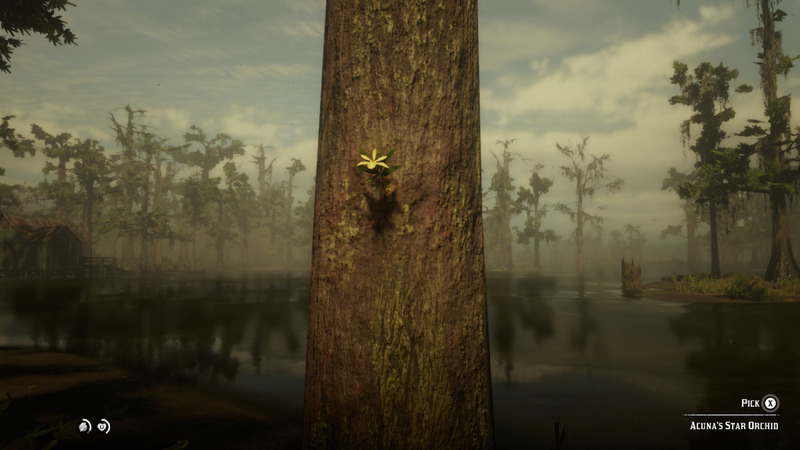 Animals glow, but plants will have glowing spores. 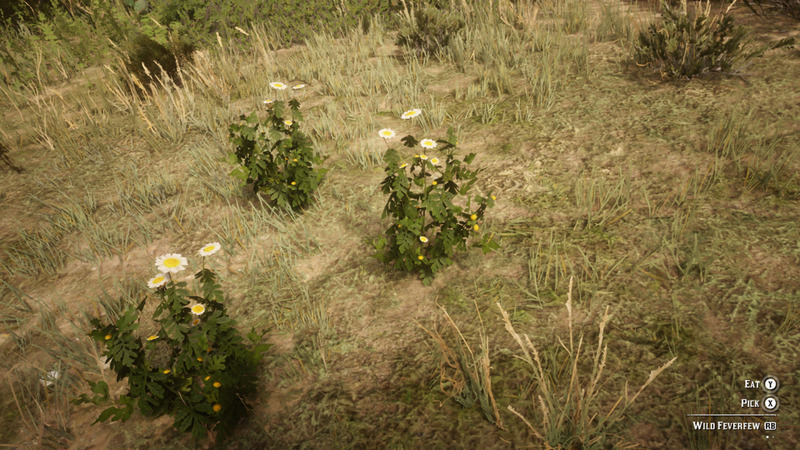 Not every plant in this game can be picked, but Eagle Eye will help you point out the interactive ones. 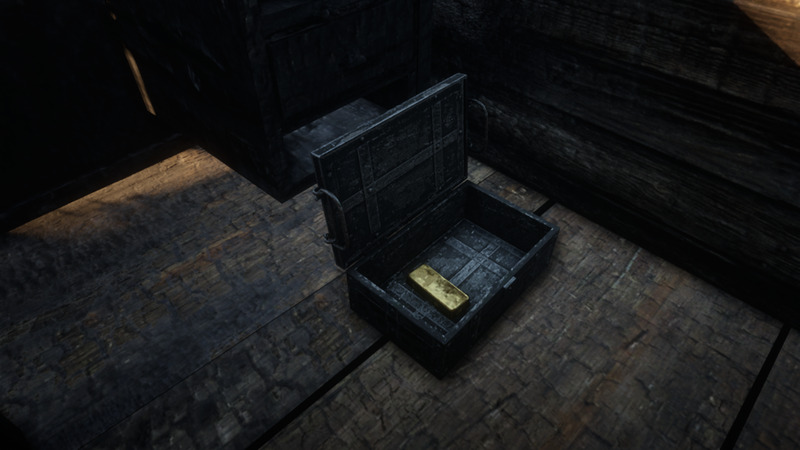 Firstly do the first few missions of Chapter 2, especially "Money Lending and Other Sins" will unlock the Camp Ledger. Through that you should purchase the Leather Working Tools ($225) that will allow Pearson to craft upgraded Satchels. Specifically the Ingredients and Tonics Satchels. These aren't required to do these Challenges, but it will make Challenges #3, #5, and #7 less of a back-and-forth hassle for you. Unlocked by bringing five animal carcasses to Pearson. Easy to do if you like earning Honor by bringing food to the camp. Any animal carcass will do like Crows and Song birds. You'll need a Perfect Deer Pelt, Perfect Badger Pelt, and Perfect Squirrel Pelt. To determine an animal's pelt quality hold down Right Bumper/R1 while aiming or spotting them through Binoculars. A three-star rating is what you're looking for. 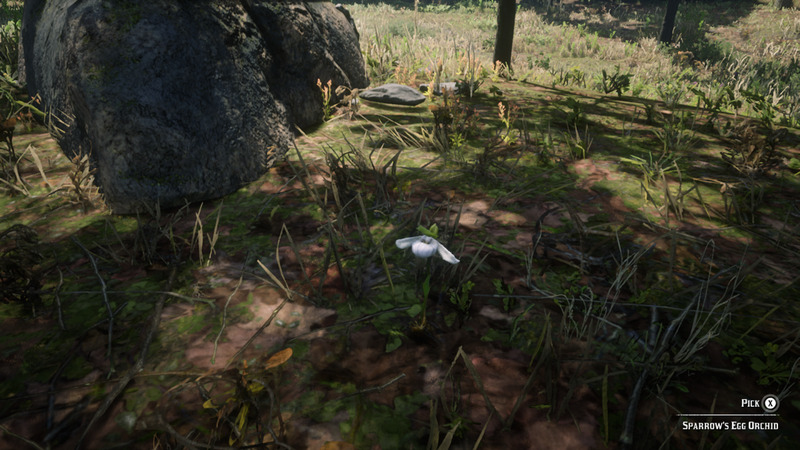 Deer Pelt: Deer you can find anywhere, make sure to get a headshot, through Dead Eye, with a rifle or Bow. More than one shot will ruin the quality of the pelt. 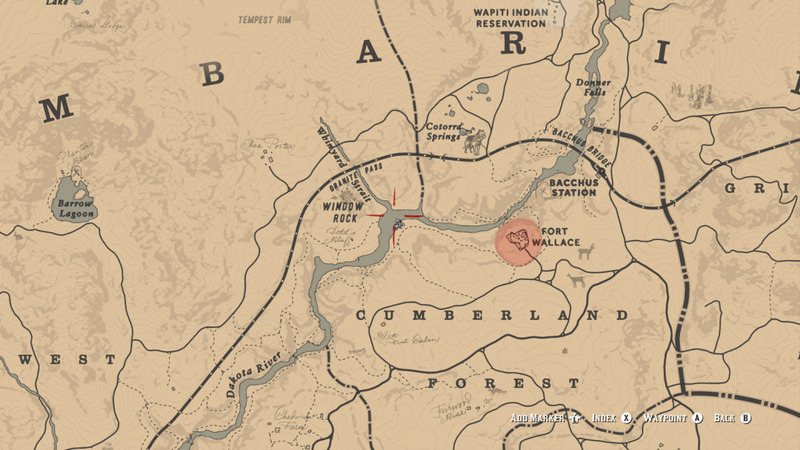 Badger Pelt: In Chapter 2, East of Horseshoe Overlook, is an Oil Derrick. Camp in this area until Night. It might take a little bit but you are most likely to find a Badger here. Among a lot of other rodents. Use a Varmint Rifle, it will only take a one shot, which is what you want. Squirrel Pelt: You're going to need to kill a bird (any type) to get a Flight Feather. 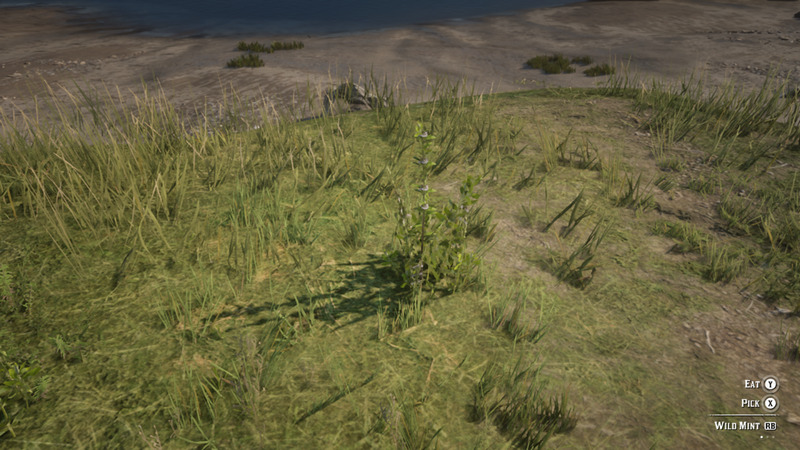 Craft a Small Game Arrow, which you should use for an small type animal to not wreck the Pelt. Squirrels can be found around the Camp at Horseshoe Overlook, or any other forested area. 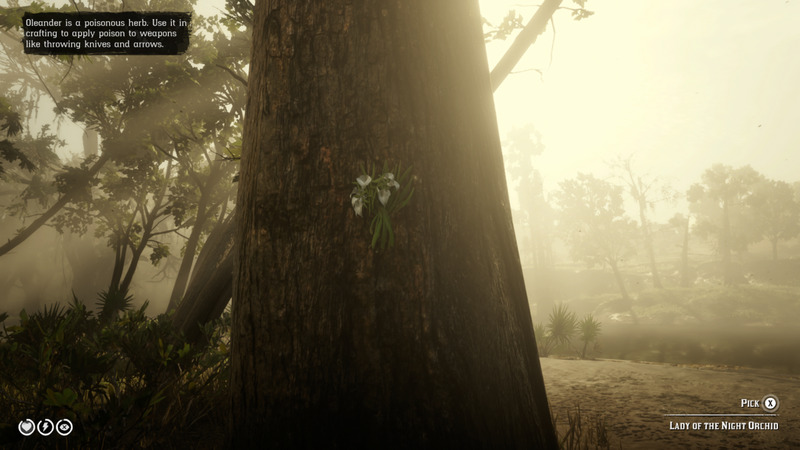 The Ingredients Satchel will increase how many of each plant you can carry from 10 to 15. I know it doesn't seem like much, but it really is useful. Unlocked by upgrading the Medical Wagon Twice ($80). If you can't afford to do this right away, don't worry, it's not as vital as the Ingredients Satchel. You'll need a Perfect Deer Pelt, Perfect Buck Pelt, and a Perfect Elk Pelt. Buck Pelt: Bucks appear in the same areas as Deer. Look for the antlers. Elk Pelt: Elk appear in more mountainous areas. 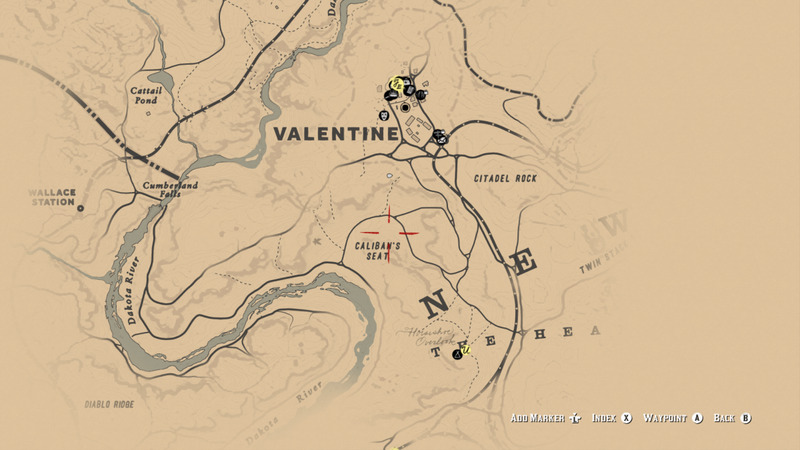 Head North of Valentine, or East from Emerald Ranch. 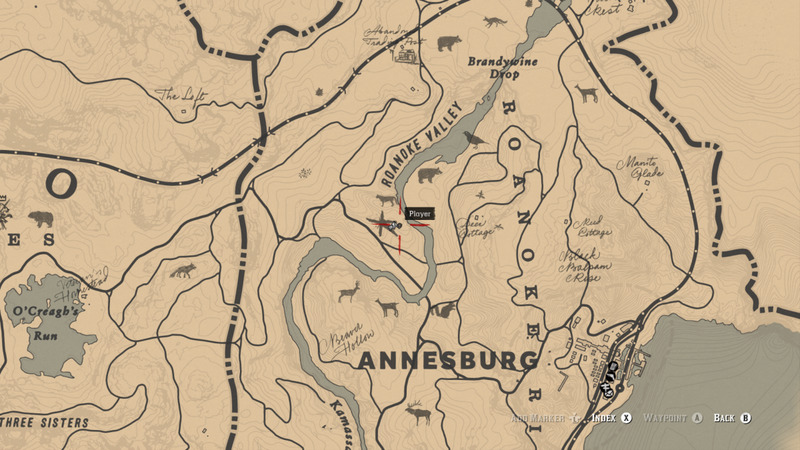 Use your Carbine Repeater in Dead Eye to get a headshot. They're big animals bare in mind. The Tonics Satchel will increase the amount of Tonics you can carry from three to five. Doesn't seem like much, but you'll be happy to have it during Challenges #3 and #5. At least four Oregano, Wild Mint, and Creeping Thyme. Or x11 of one of these. 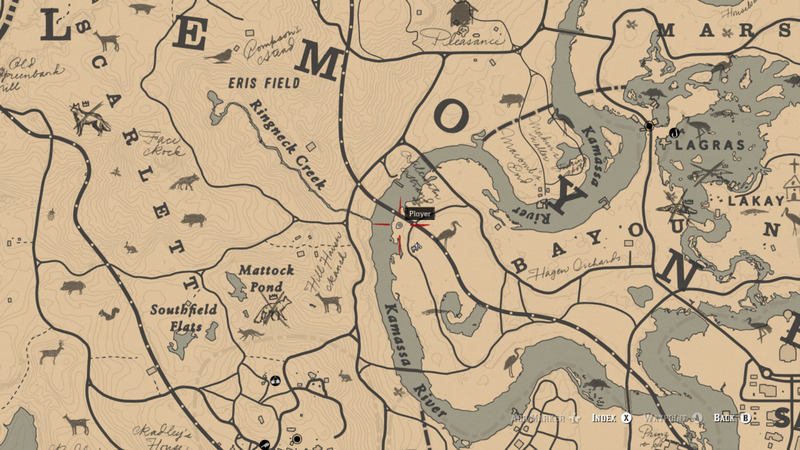 At the beginning of Chapter 2, head directly east to find an old oil derrick. 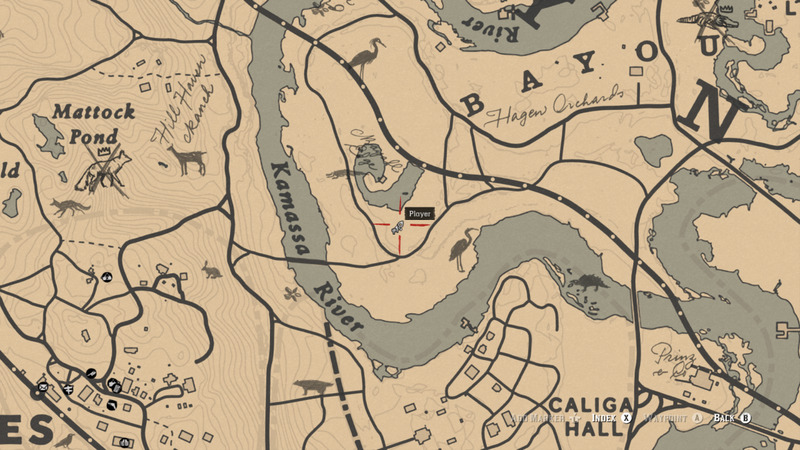 Set up camp here, sleep until night, and ride around until you find a Perfect Badger. These are long red topped flowers. 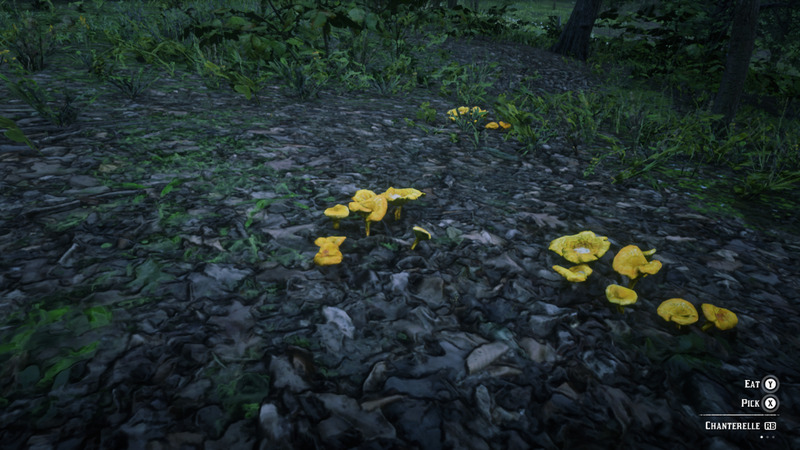 They grow abundantly around the Camp at Horseshoe Overlook and South of Valentine. You're more likely to find them in grassy areas rather than in forests among trees. Pick six of them to pass the Challenge. Yarrow sort of looks like a rose in a way. You can spot these from horseback and are usually in groups of three. 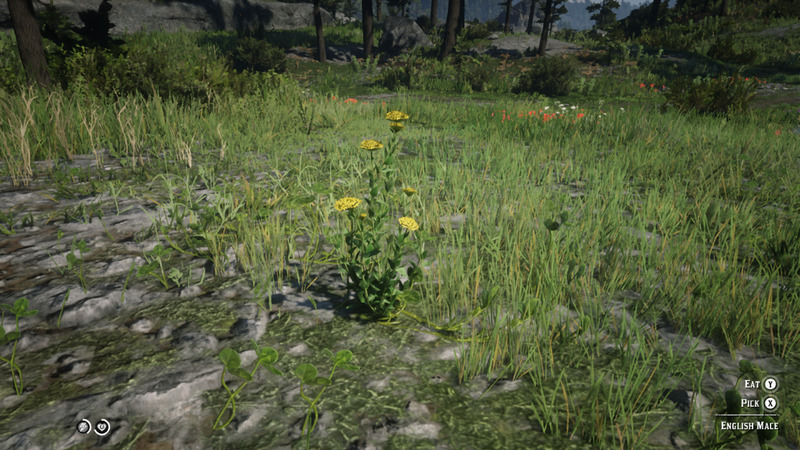 You can find a lot of Yarrow in the immediate area outside of the Horseshoe Overlook Camp. 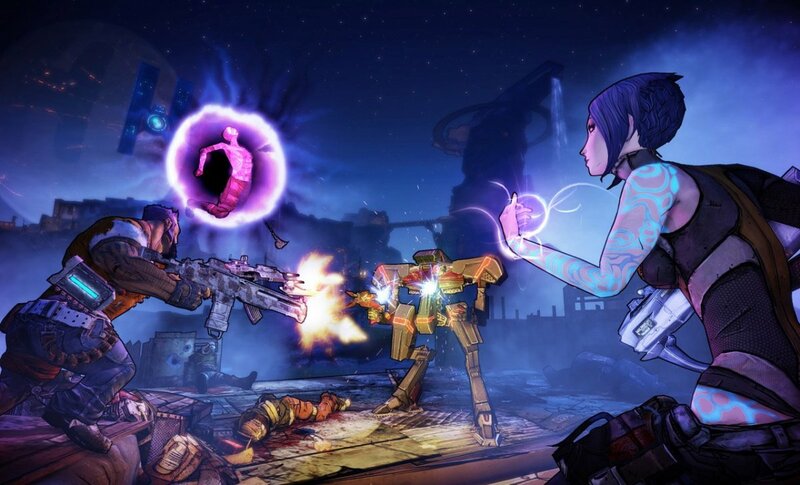 Note that this screenshot was taken during Chapter 2, when you're most likely to start this Challenge. 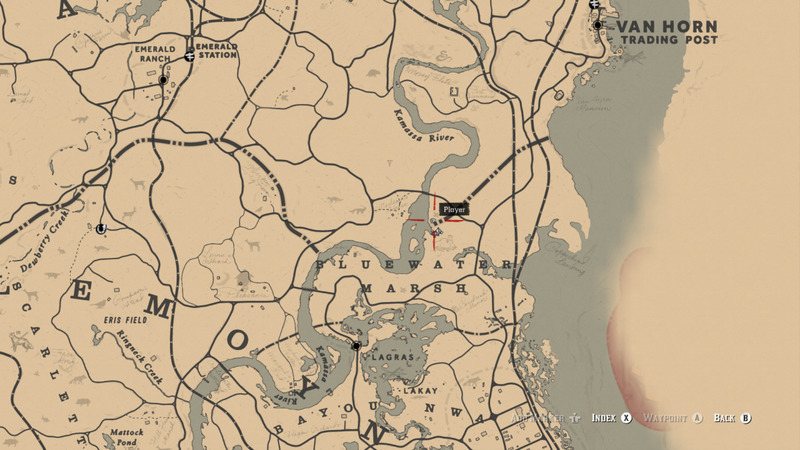 When Can You Do It: If you do the Chapter 2 Stranger Quest "The Noblest Men, and Woman" you should have a good portion of the map uncovered after that. Otherwise wait until Chapter 3. 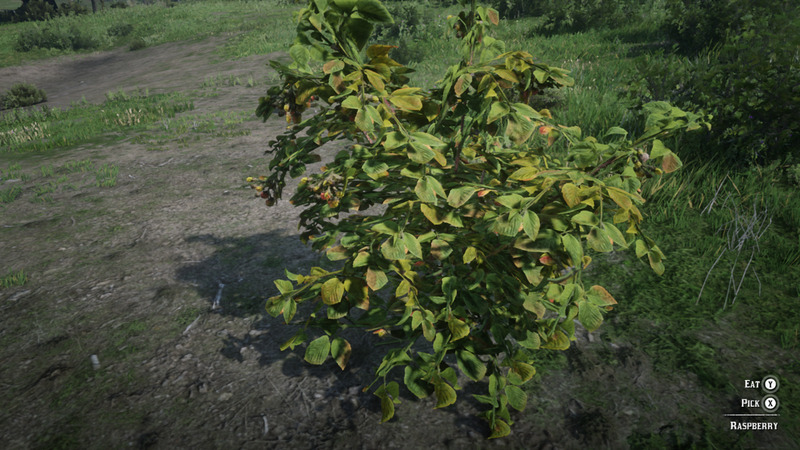 Most of the berry species in the game come from a bright leafed bush. 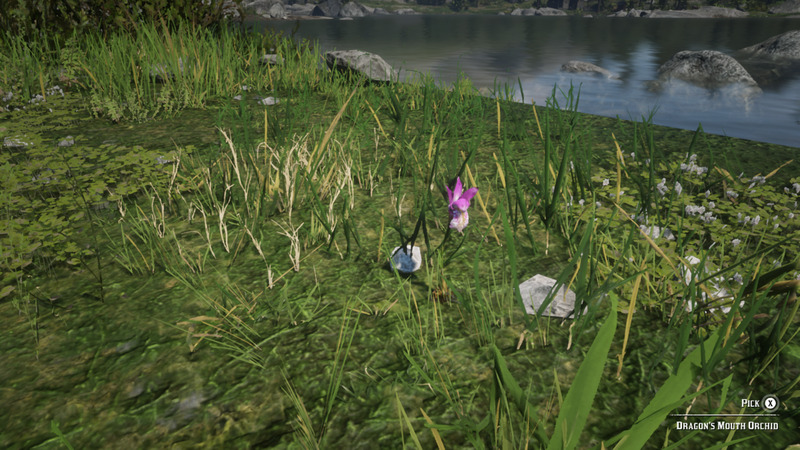 You'll be able to distinguish them since they are usually paired, but out in the open where they can be seen. 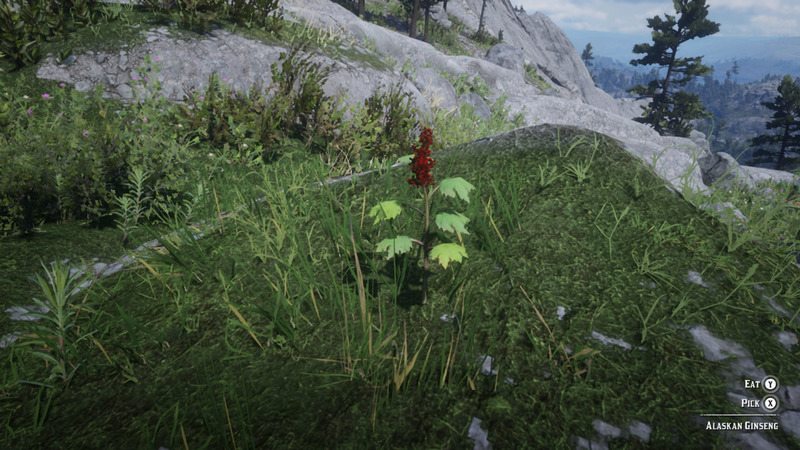 Raspberries are common around Valentine and Horseshoe Overlook. 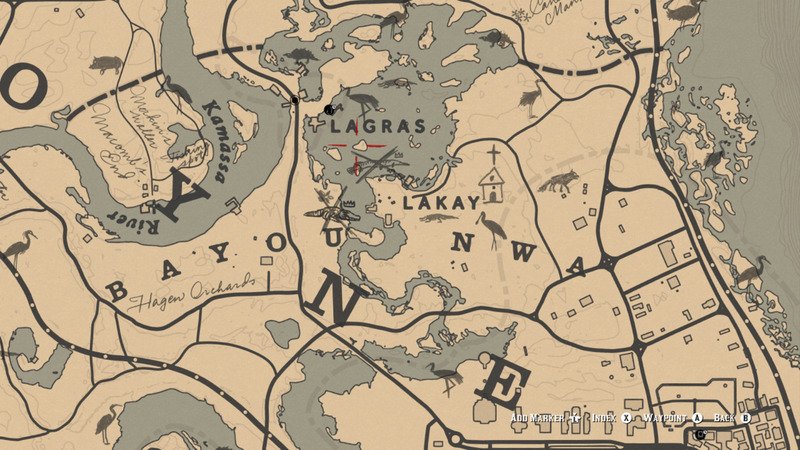 Evergreen Huckleberries spawn around Lemoyne (South of Rhodes for example). 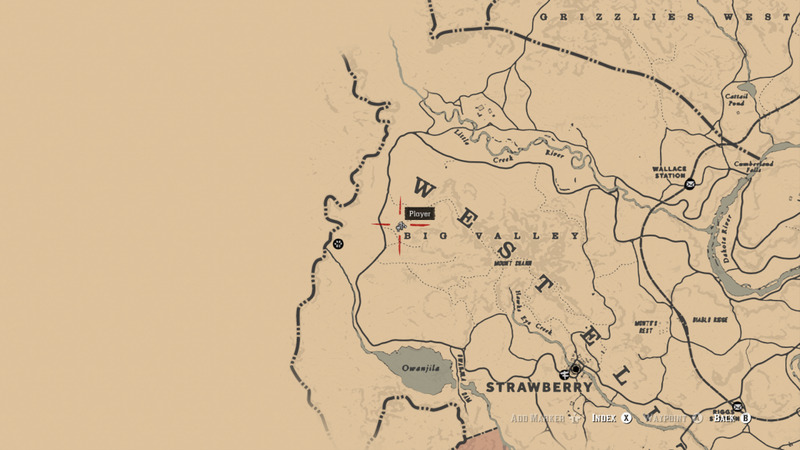 The closest Blackberries are West of Downe's Ranch, which is West of Valentine. 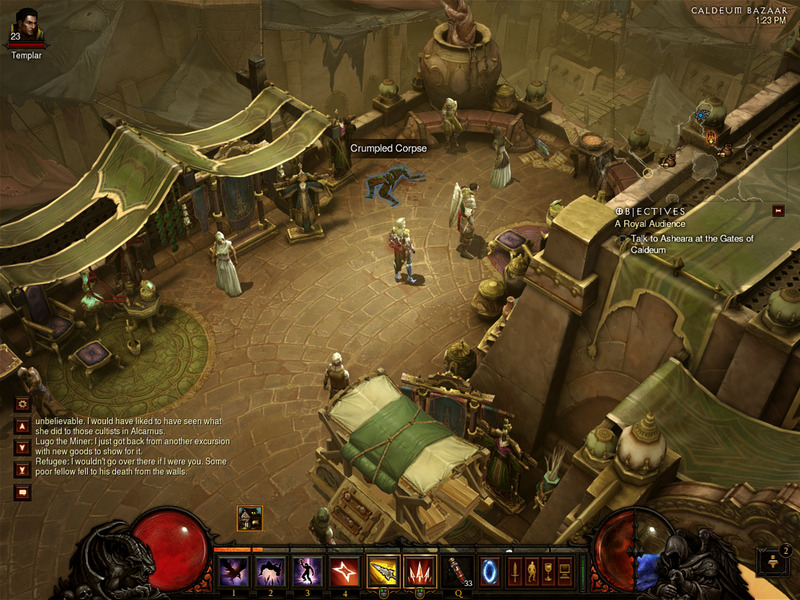 You visit this location during an unfortunate mission in Chapter 2. 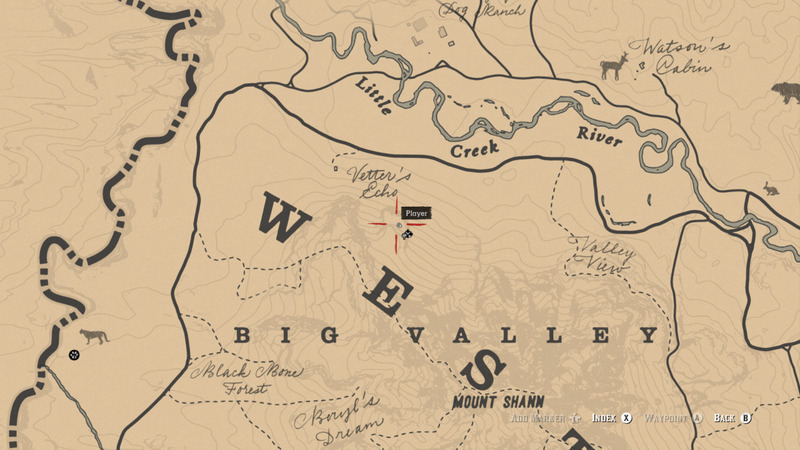 They also spawn near the Trapper in Big Valley (see second screenshot). Wintergreen Berries are a little harder to spot due to their smaller size. 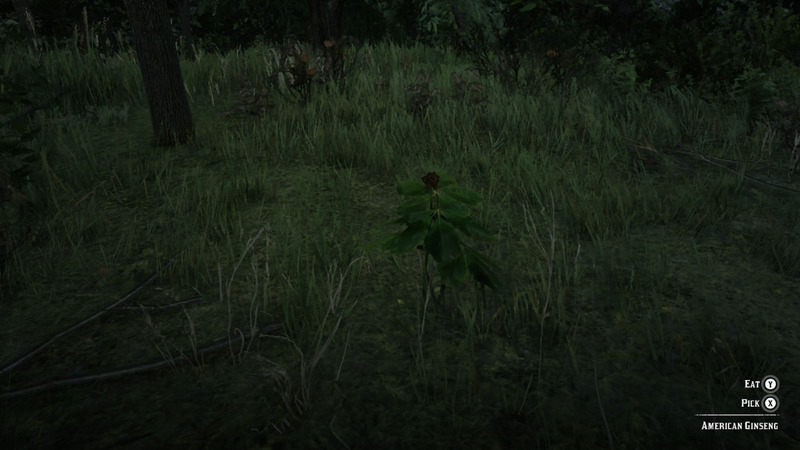 You can find them growing in the mountains of New Hanover and Ambarino (see fifth screenshot). You don't have to Pick AND THEN Eat from a second separate plant. Hold Right on the D-pad to open your Satchel. The berry you just picked will be the first square on the upper left. Press A/X to Eat the berry. This is a Raspberry bush. Blackberry bushes look very similar. 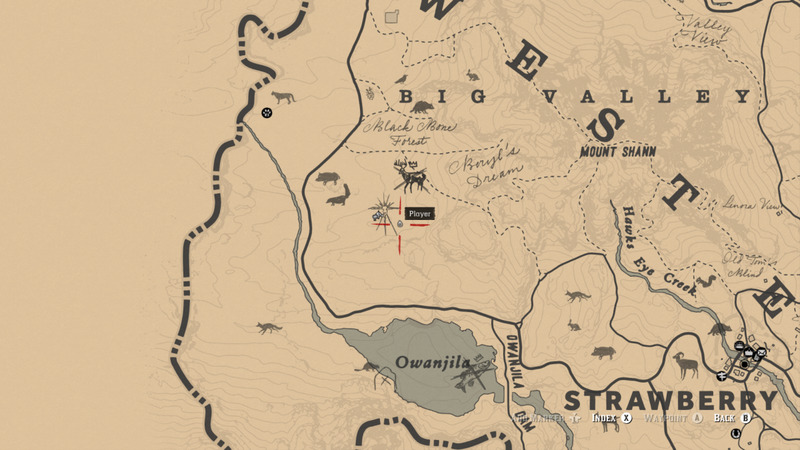 Blackberries can be found near the Trapper in Big Valley (I'm sure around other places on the West side of the map too, but here's an example). This is an Evergreen Huckleberry. It may or may not be yours. The Wintergreen Berry is a lot smaller than the others. You'll need to rely on Eagle Eye to help find this one. Here is one spot where you can find Wintergreen berries. When Can You Do It: Anytime after Challenge #2. They mean standard Sage not poisonous Oleander Sage (that's for a later Challenge). 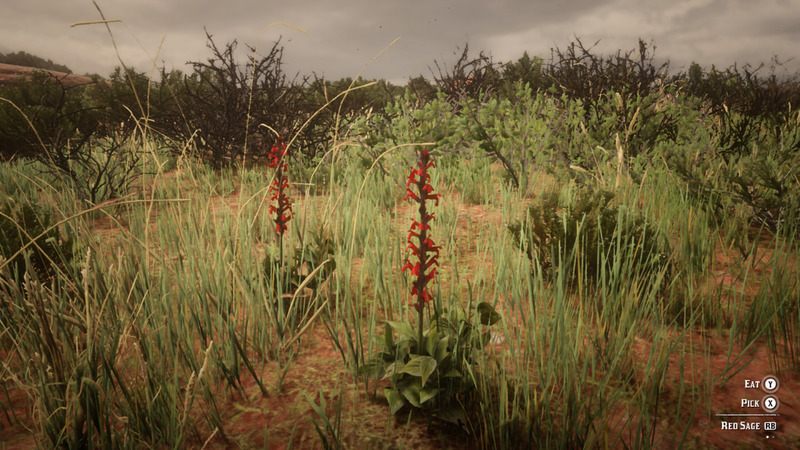 Hummingbird Sage can be found in forested areas (like around Horseshoe Overlook as early as Chapter 2). Gather at least seven of them (if you didn't have some already) and seven Common Bulrush (which can be found around water such as Flat Iron Lake and the Dakota River). Set up a Campsite and press X/Square open Crafting/Cooking. Select Horse Care and make seven Potent Horse Stimulants. 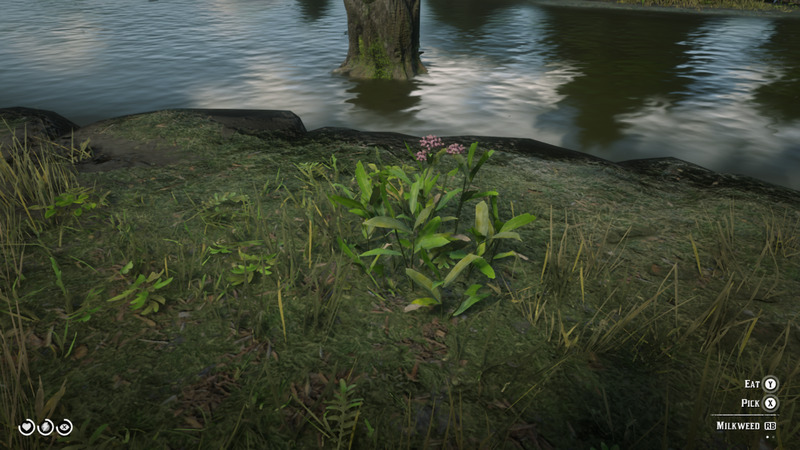 You can also craft Potent Bitters (under Tonics) using a Braddock Root and a Sage. 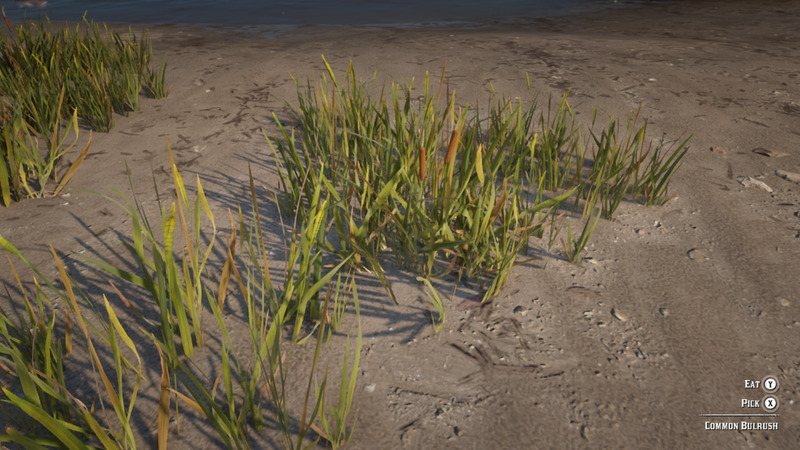 I mean since you're around the water's edge looking for Common Bulrush anyway... 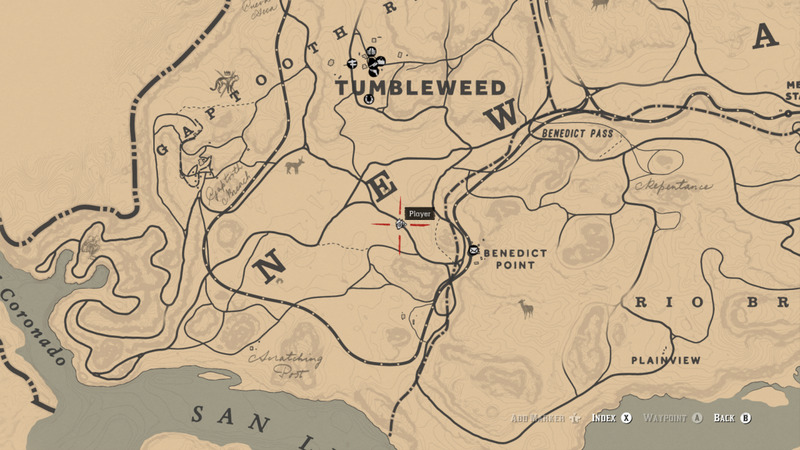 If you run out of space in your Inventory you can Tonics to the General Store or Doctor. This is what Hummingbird Sage looks like. Pretty distinctive, but Eagle Eye is still useful for spotting it. 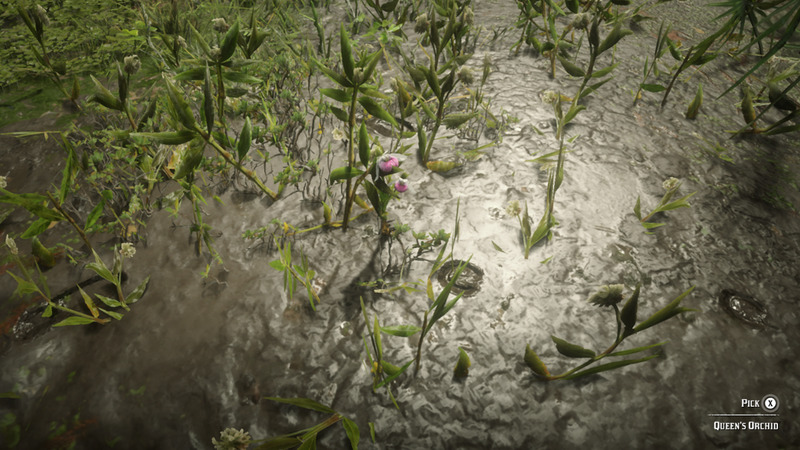 This is Common Bulrush, you can find this abundantly around the waters edge of any area in the game (check up and down the Dakota River). Use this in conjunction with Hummingbird Sage to make Potent Horse Stimulants. This is Braddock Root which also grows around the water's edge (just not as often as Common Bulrush). Collect this as well to craft Potent Bitters with Hummingbird Sage. Also make sure to have a full stock of this in your Inventory for later. When Can You Do It: Anytime after Challenge #3. The description of this Challenge makes you think you need pick five mushrooms to feed your horse with. When actually ANY five mushrooms you already have in your Satchel will count. 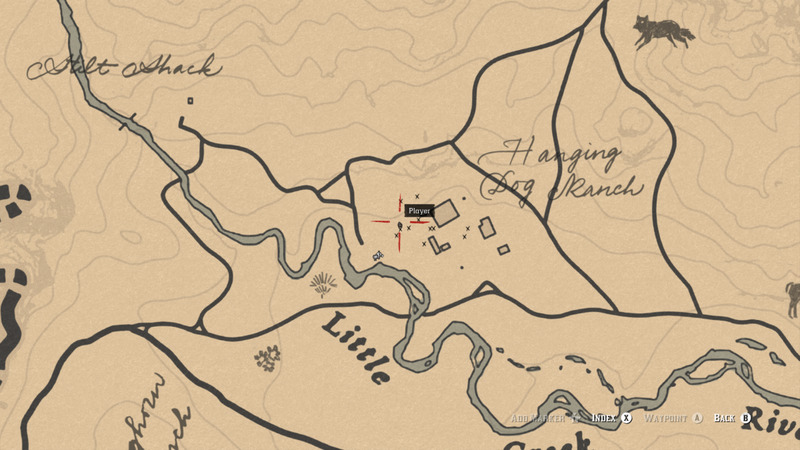 Just stand next to your Horse and hold Left Bumper/L1>Horse>select Provisions>pull Left or Right Triggers/L2 or R2 to select the mushroom you have and feed them to your horse one at a time. You could lock onto your horse and press Right on the D-pad to Feed it, but using the menu is less random. Parasol Mushrooms are common around the ridge just South of Valentine, you can also find a selection of them in the field, around the Oil Derrick, East of Horseshoe Overlook. 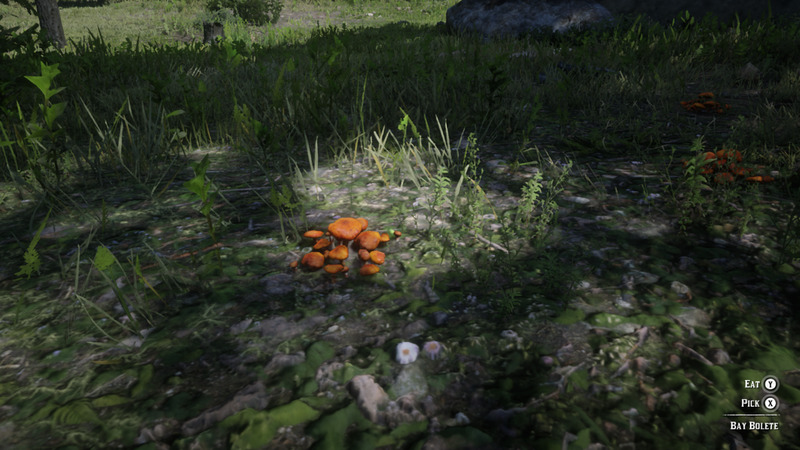 Other mushroom species count too, and thankfully unlike real-life, none of the wild mushrooms are poisonous. Although I don't trust Ram's Head. Like seriously it looks like that crap growing on the clickers' faces in The Last of Us. Yuck! 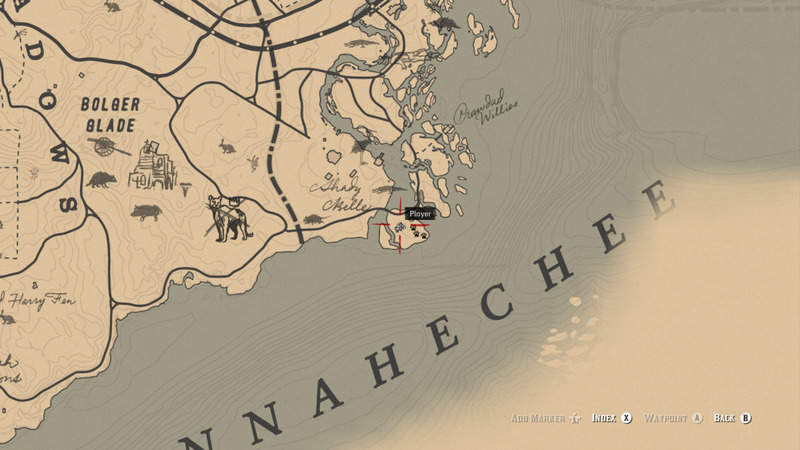 When Can You Do It: Right after Challenge #4 (I hope you took my advice and hoarded a bunch earlier) Also do this after you have crafted the Tonics Satchel at Pearson's Wagon it's a big help. Indian Tobacco is semi-common just like Hummingbird Sage, but you can find it in the same areas as Hummingbird Sage. Dry forested areas. Check around Horseshoe Overlook, both up on the ridge and down below. Thankfully it's like Wild Carrots, Wild Mint, Creeping Thyme, etc. where you can find it almost anywhere (yet seldom at the same time). 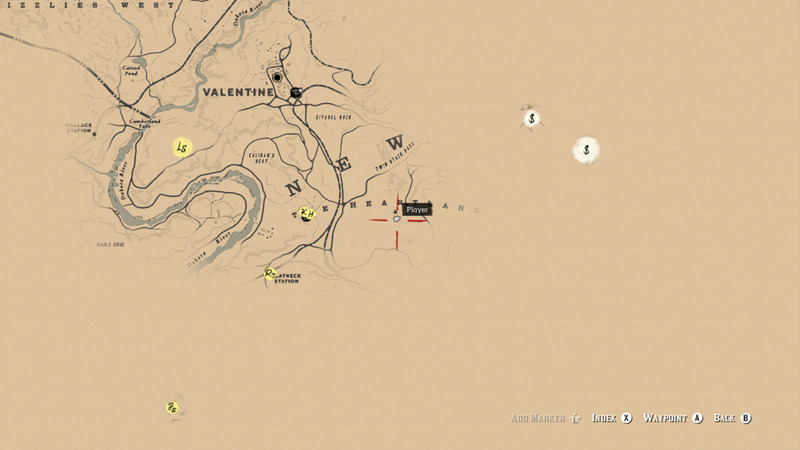 After you gather nine of them set up a Campsite outside of Valentine. Craft Potent Snake Oil, then either drink them as you make them by pulling Right Trigger/R2 or sell them to the Doctor and/or General Store in town. 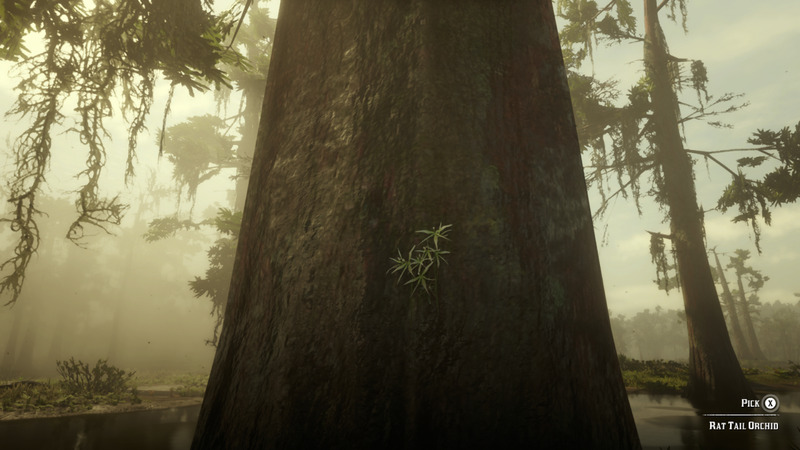 This is what Indian Tobacco looks like, a long green spire. Kind of like Wild Carrot but without the white flowers. When Can You Do It: Wait until Chapter 3, just so you can pace yourself but also because there's more variety at that point. Instead of "herb" think "plant" because this Challenge requires you to pick 15 different plants. Not hard to do since you've been doing this for a while already, just this time you have to be less picky. Make use of your Eagle Eye (Stick Buttons/L3+R3) to watch for spores floating into the air. Also keep a notepad handy so you don't repeat the same plant over. Also useful if you're a struggling writer on Hubpages trying to make a helpful article! THAT I can tell you from experience. 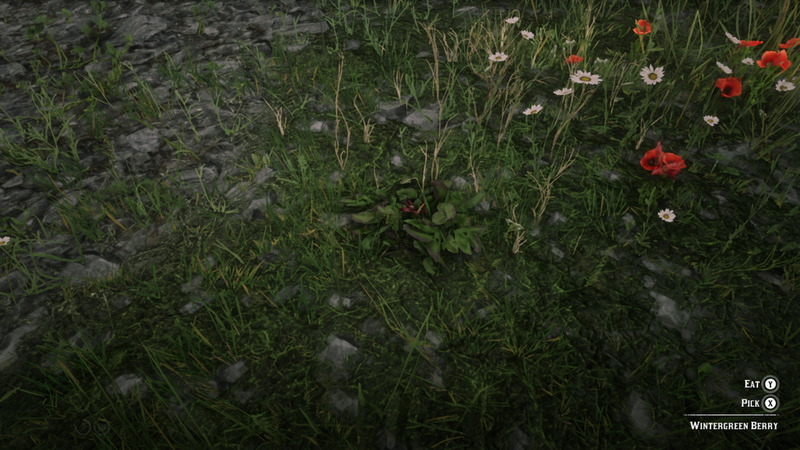 From the area South of Valentine (around Horseshoe Overlook) you can find Yarrow, Indian Tobacco, Parasol Mushrooms, Wild Carrots, American Ginseng, Creeping Thyme, and Raspberries. Heading South around the edge of Flat Iron Lake you can find Common Bulrush, Wild Mint, and Braddock Root. Heading further South into Leymone, and South of Rhodes, you will find Milk Weed, Hummingbird Sage, Evergreen Huckleberries, and Oregano. 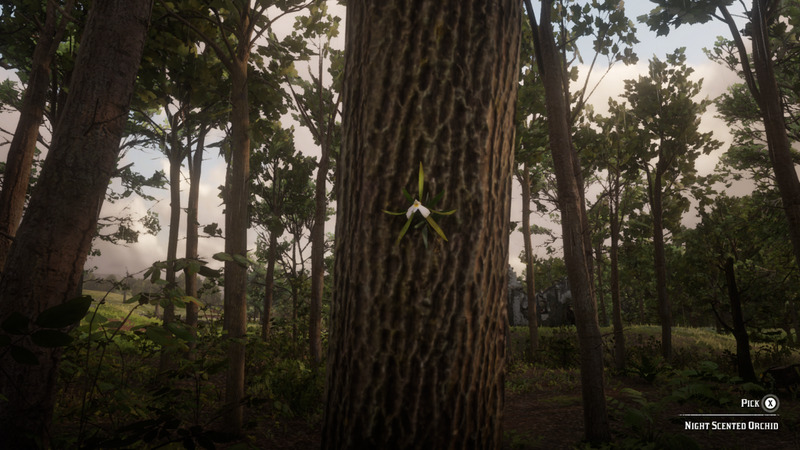 Really any 15 will do but don't pick up anything that looks like an orchid (most grow on the sides of trees) until you trigger a Stranger Mission in Chapter 4, or else you might encounter a bad glitch which will keep you from completing that Stranger Mission. If you follow the above you shouldn't make it that far into the swamp hopefully. 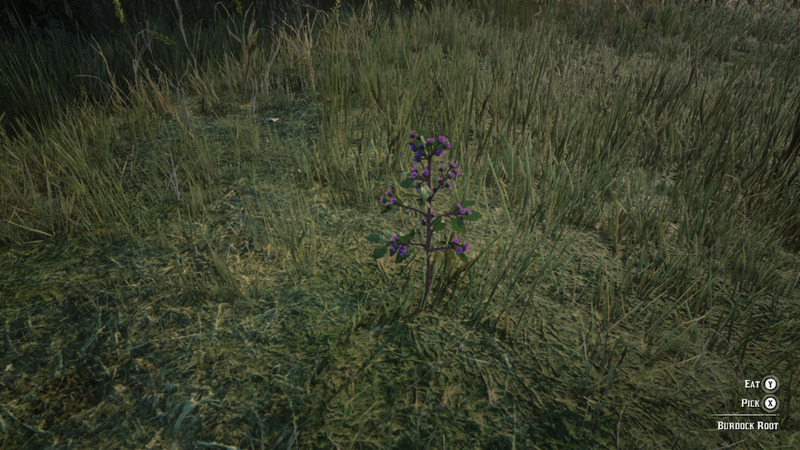 For a comprehensive guide on where to find, and what these plants look like, please see Herbalist Challenge #9 below. The Special Miracle Tonic Pamphlet is only available to buy from the Fence after the above mention mission (actually you could probably find it somewhere, but where I can't honestly say). After you buy the Pamphlet Hold Right on the D-pad to open your Satchel. You need to read the Pamphlet before the game will let you craft it. 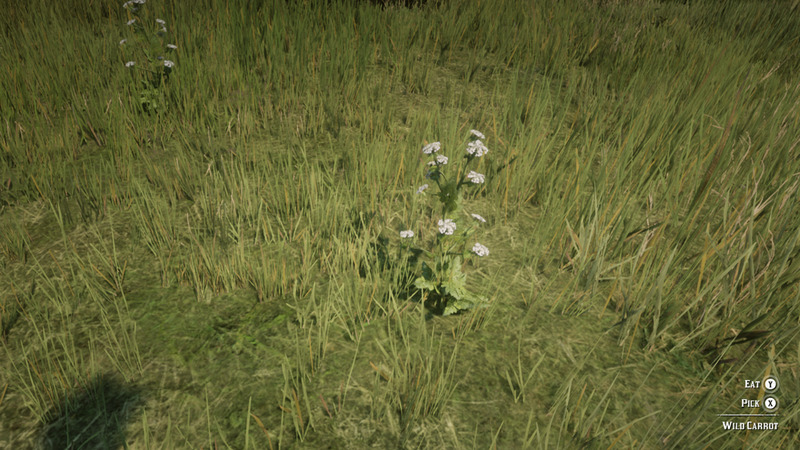 To Craft it requires x6 Yarrow, x4 Braddock Root, and x6 Currant. 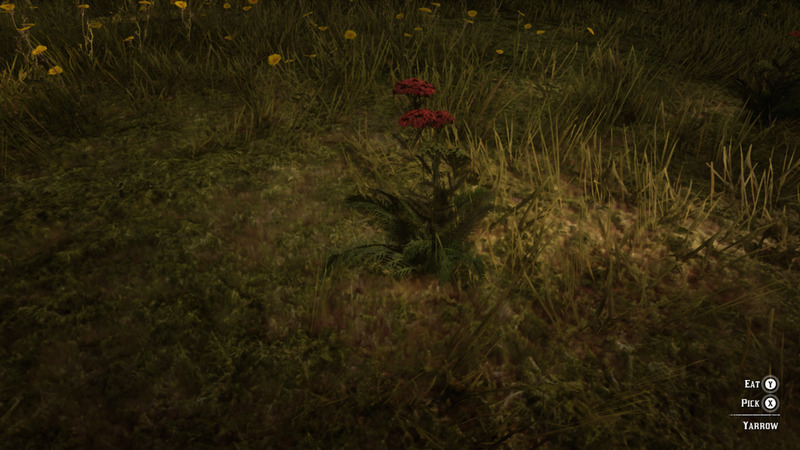 Yarrow and Braddock Root you should be familiar with from Challenges #1 and #3 (see links below). 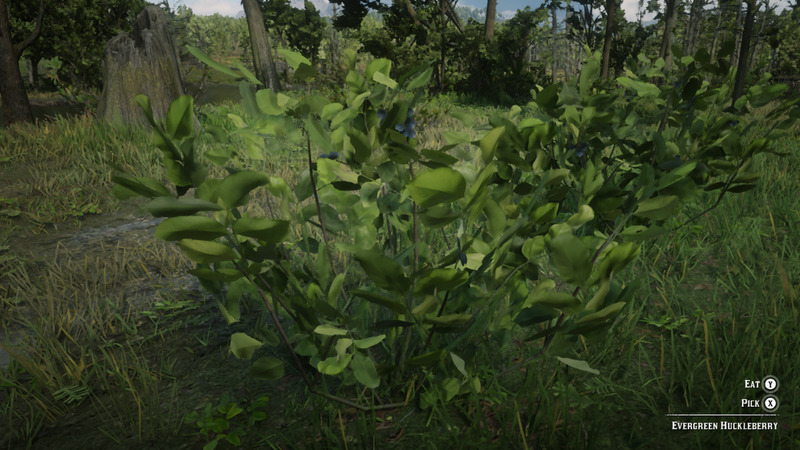 Golden Currant grows around the forests East of Emerald Ranch. 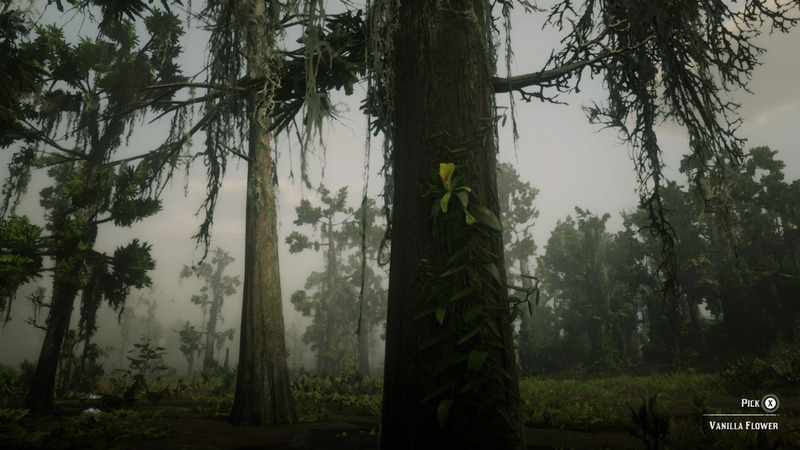 Go to Emerald Ranch and follow the main road North, from there, you'll begin to see tall Y shaped plants on the right side of the road (see first screenshot). I hope you have the upgrades Ingredients and Tonics Satchels or else there is going to be a lot of traveling back-and-forth to complete this Challenge. You should have enough ingredients to make at least two Special Miracle Tonics from the get-go. 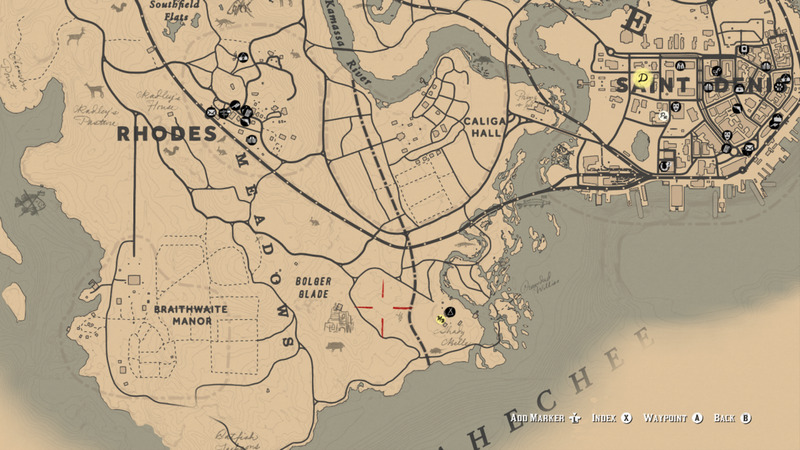 Set up a Campsite, open Crafting, and select Special Miracle Tonic under the Tonics tab. As soon as you Craft it pull Right Trigger/R2 to drink it. Do this five times to finish the Challenge. If you run out of plants to harvest don't fret! They grow back after a while. Either explore further to find more or go do some story missions and continue this Challenge later. 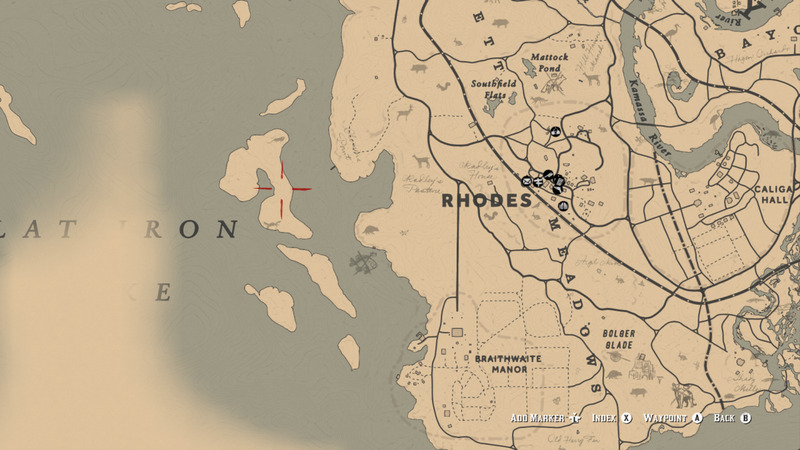 I'm certain there's some Save/Load/Repeat exploit you could do too, but I'm not going to invest the time to examine or research things that break the game's immersion. Sorry not sorry. Apart from Yarrow and Braddock Root this is your third important ingredient in making Special Miracle Tonic. 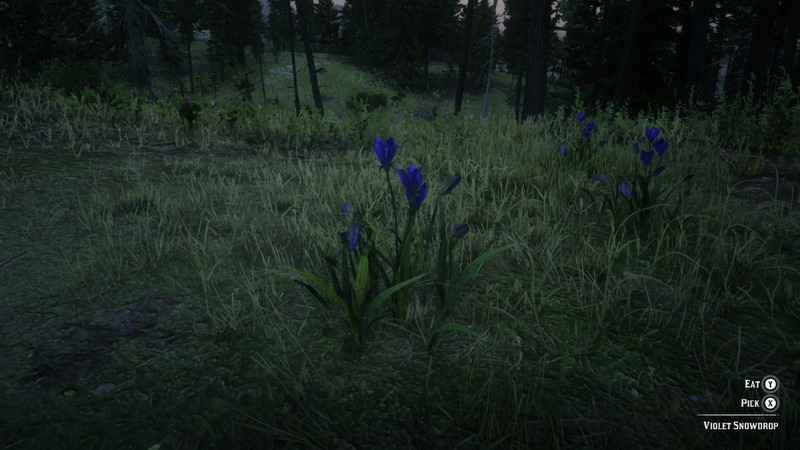 You can find it growing in the forests East of Emerald Ranch. You can find Braddock Root anywhere along the water's edge of Dakota River and Flat Iron Lake. Like here for example, on this island, and in this general area. You can alternatively get the recipe for free here just South of Big Valley. It's in a Lock Box at an abandoned campsite. It's also a little tricky to navigate up the mountain but you can't miss the torn tent. Buy the recipe for the Poison Throwing Knife is sold at the Fence (available after"). Remember once you buy the pamphlet hold Right on the D-pad, to open your Satchel, and READ the recipe to make it available for crafting. While you're at the Fence stock up on Throwing Knives too. 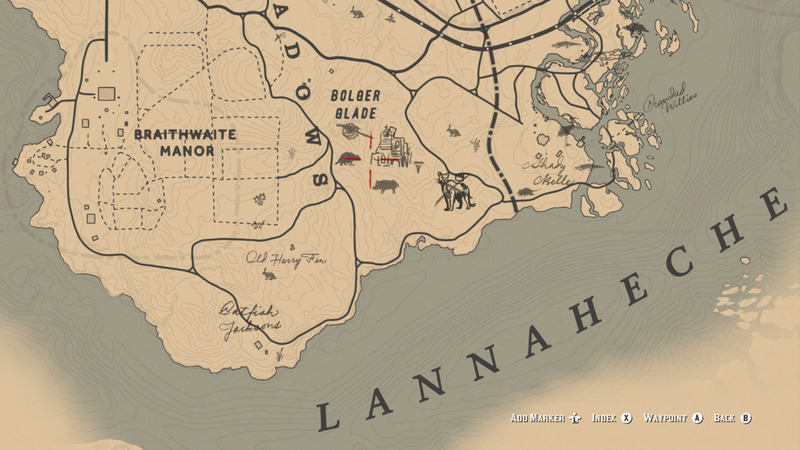 There's a location in North-East Bluewater Marsh, just on the New Hanover/Lemoyne border (see second screenshot) where you can find at least six Oleander Sage in the immediate area. You should always have a full inventory of these, and here is a great place to find them. Set up a Campsite and press X/Square to open Crafting/Cooking. Go to the Weapons tab to find the Poisonous Throwing Knife option, then craft six of them to beat this Challenge. 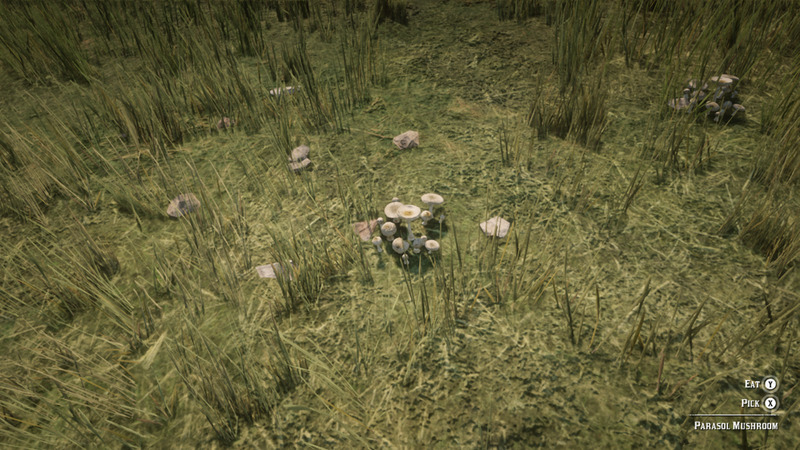 In case you're wondering these poisonous versions are useful for powerful enemies. 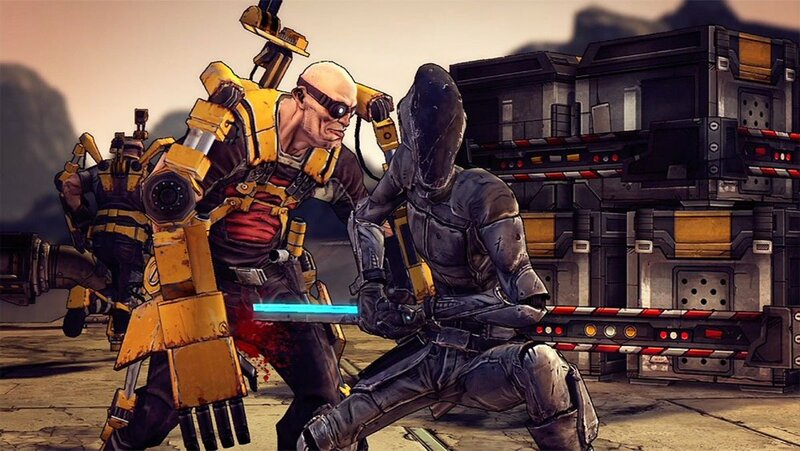 You can't always get a "headshot" with a Throwing Knife, but a body hit from one of these is a guaranteed kill (just give it a second though). You could also craft six Poison Arrows, but that requires the extra step of acquiring Flight Feathers. If you decide to hunt birds to get them poison arrows will also count toward this Challenge. You can find a good number of Oleander Sage right in this area. 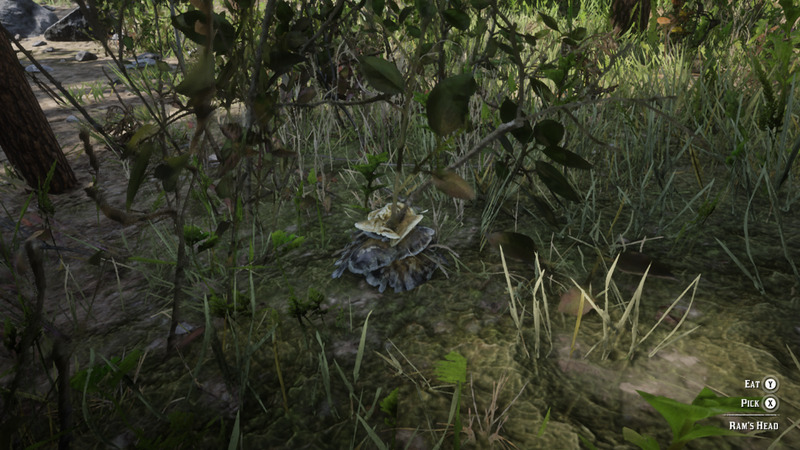 Pretty much anywhere in the swamps of Leymone, but here are at least six for THIS Challenge. 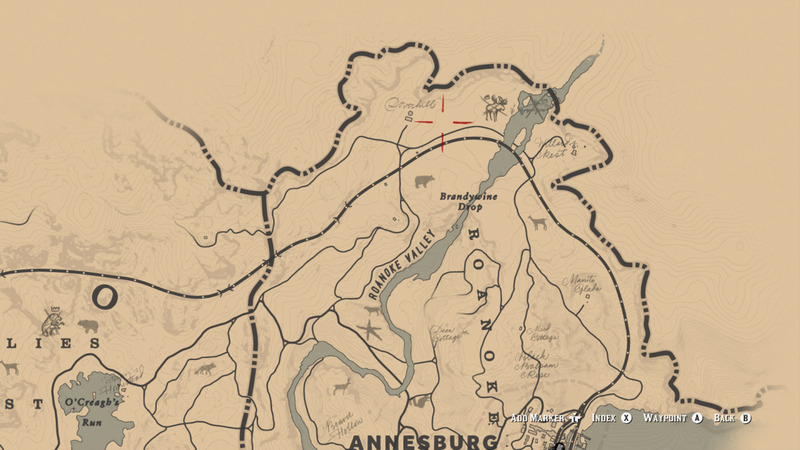 Note: If you don't want to perform the glitch that allows you to get to New Austin early then you should not start this Challenge until AFTER you start the Stranger Mission "Duchesses And Other Animals". 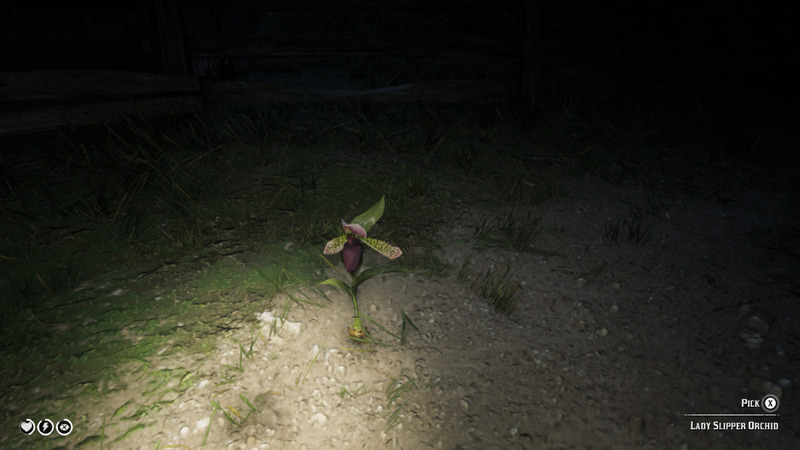 Due to a supposed glitch that keeps progress from being made in this quest, if you collect certain Orchids before you start that mission. 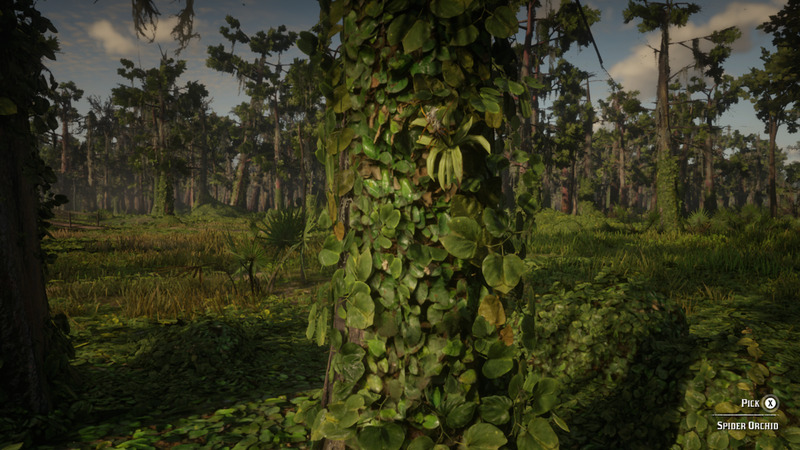 Since you have to collect EVERY plant species for this Challenge it might be an issue if you're going for 100% completion. This one's gonna take a while since five of the 43 plants you need to pick are in New Austin. 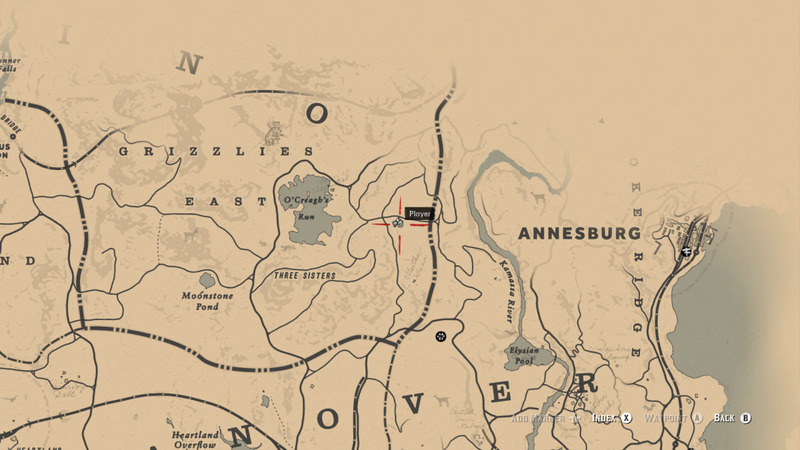 You can get to New Austin as early as Chapter 4 by doing the glitch in the above video BUT it's up to you if you want to go through with that or not. Thankfully most of the plants are very easy to find (some of which you already have), but others are little more scarce. Also you only need to Pick OR Eat ONE of each plant. (please see screenshots below for more information). You can find a few Braddock Root here. American Ginseng (can be found in forested areas). Chanterelle mushrooms can also be found in forested areas around Rhodes. Evergreen Huckleberry is pretty common in Leymone but you can find a bush here. 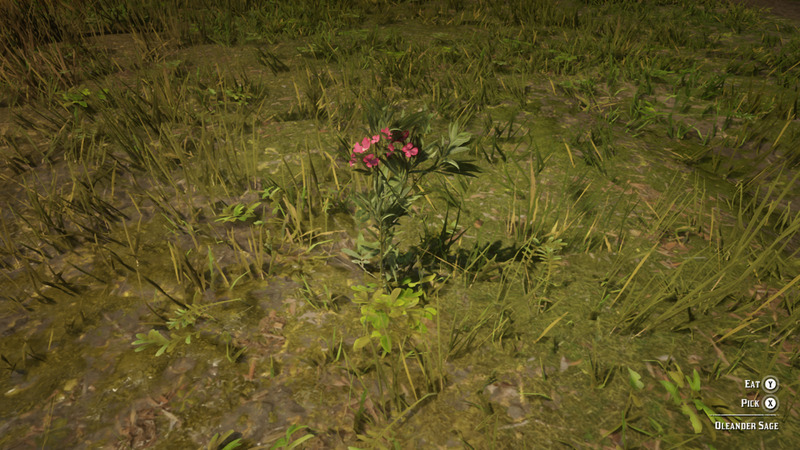 Oleander Sage is pretty common around the swamps of Leymone, but you can find a few here. Hummingbird Sage can be found in any forest (except for the far West maybe). 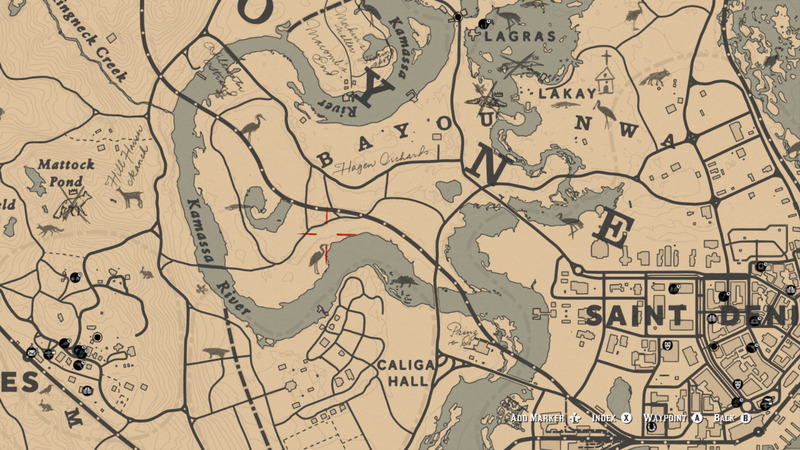 You will definitely come across some around Clemens Point. You can find Bay Bolete growing in the forests of Big Valley West Elizabeth. Blackberry (actually this is a Raspberry bush but they are very similar in appearance). You can find Blackberries in West Elizabeth and West of Downe's Ranch. 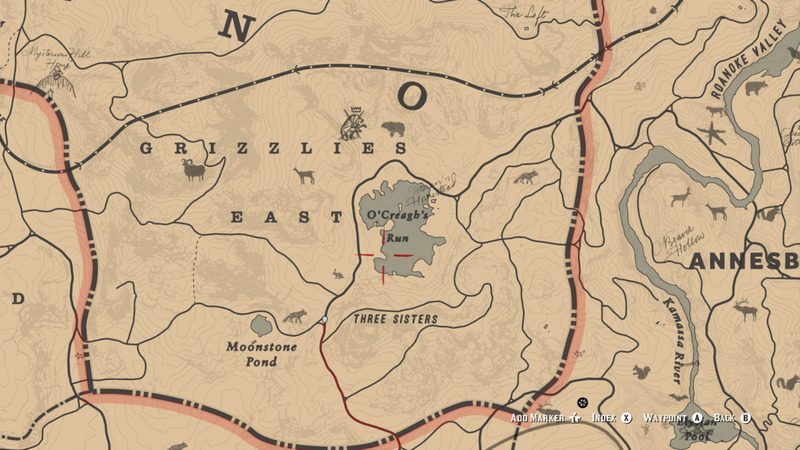 I'm not certain how rare this is, but you can find English Mace right here on the map East of O'Creagh's Run. 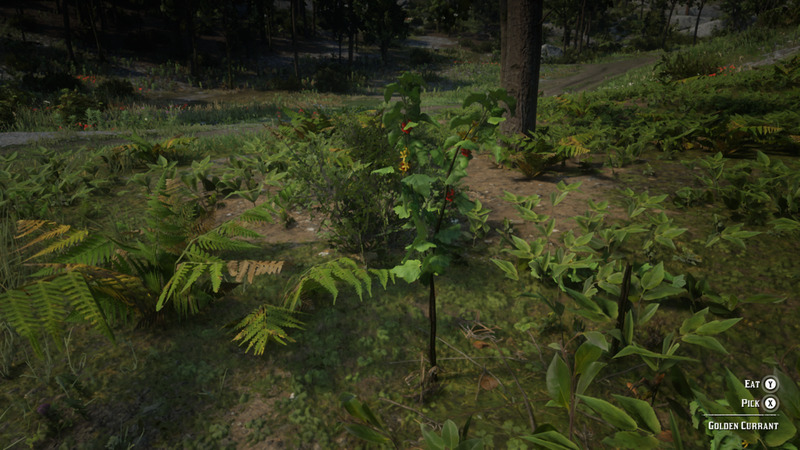 Golden Currant you can find just North-East of Emerald Ranch. Alaskan Gingseng, Ram's Head, Violet Snowdrop, and Wintergreen Berries can be found in this general area. 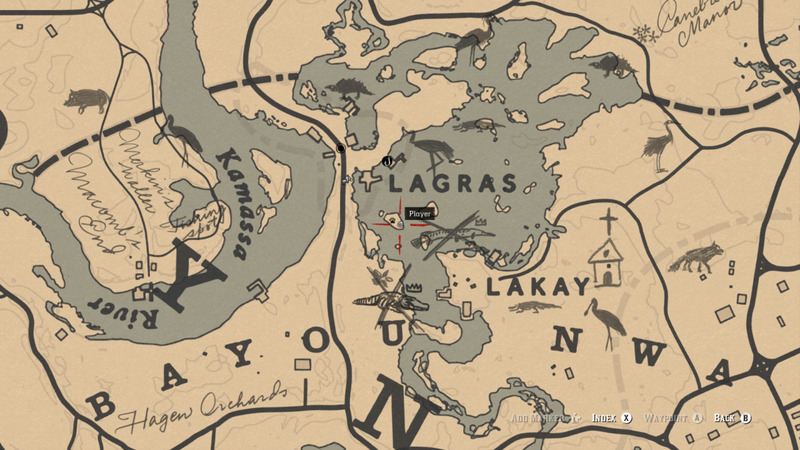 North-East near where the Legendary Moose spawns. They can also be found growing in other mountainous regions, but they are ALL in general area. Here you can find a Cigar Orchid. Where you can find a Clamshell Orchid. Dragon's Mouth Orchid location all the way up at O'Creagh's Run. A location where you can find a Ghost Orchid. A location where you can find a Lady of the Night Orchid. A location where you can find a Lady Slipper Orchid. You can find a Moccasin Flower Orchid here. The location of a Night Scented Orchid. The location of a Queen's Orchid. Here is a location of a Rat Tail Orchid. 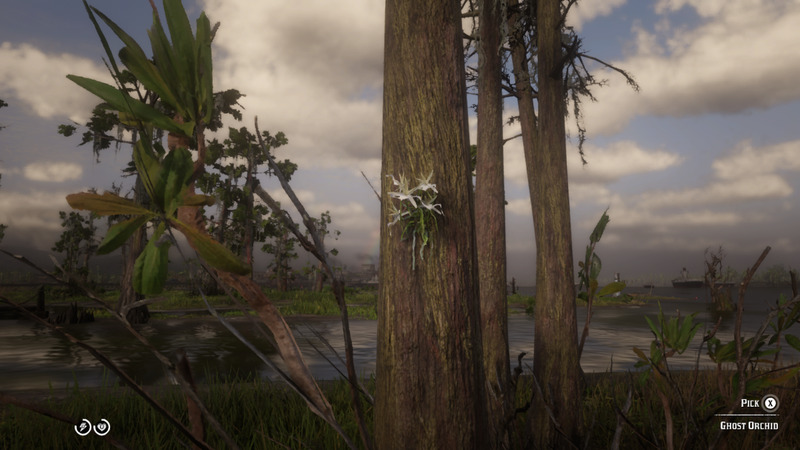 This is one location that a Sparrow's Egg Orchid can be found. 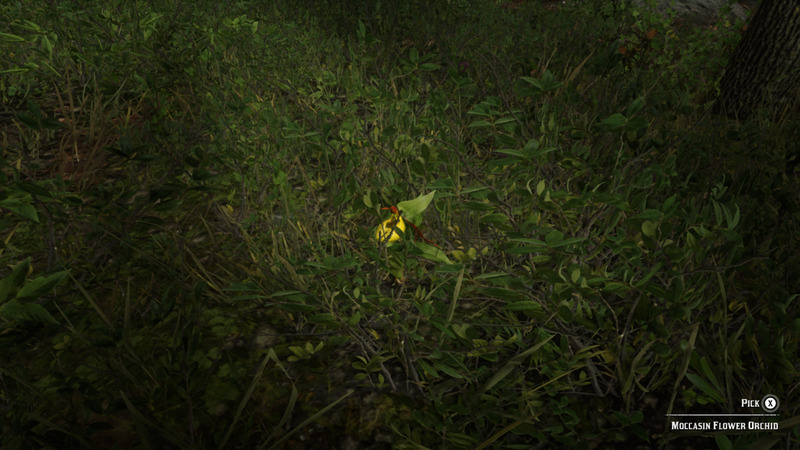 Here is a location where I found a Spider's Orchid. 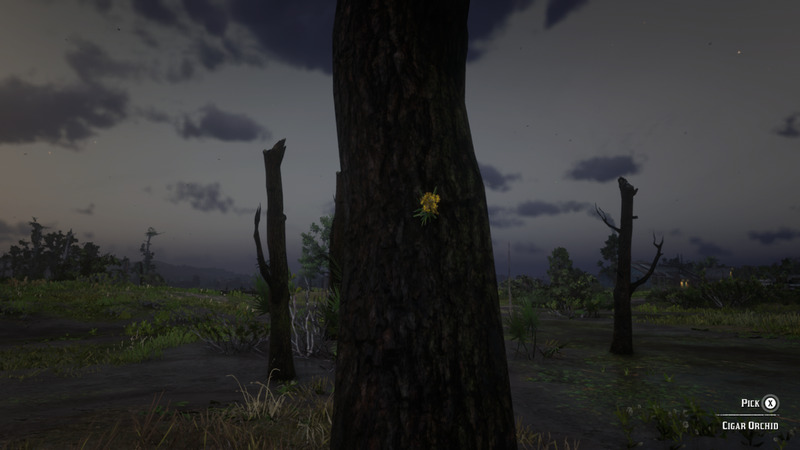 You can find a Vanilla Flower growing here. As well as a few other locations, it seems like the most common orchid. Black Currant, it's a somewhat common plant in Western New Austin. 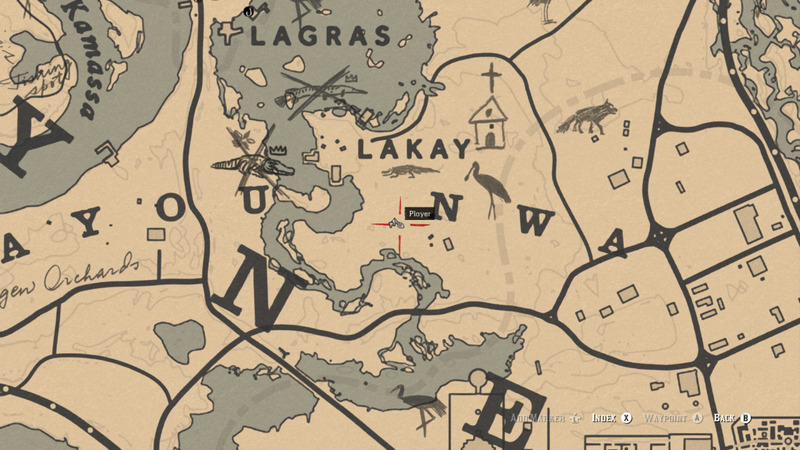 To save yourself time here is a location where you can find Black Currant. 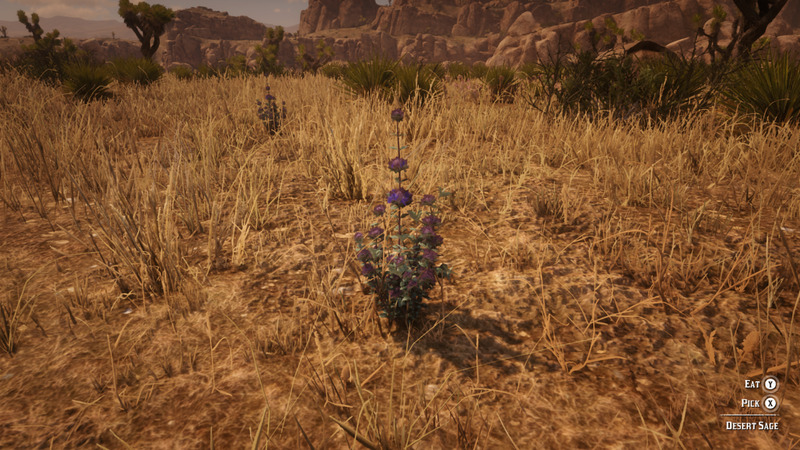 Desert Sage, like the first game this can be found out in Gaptooth Ridge. Prairie Poppy. Can be found in the Great Plains of West Elizabeth. Red Sage. Can be found in the Rio Bravo area. Wild Feverfew. 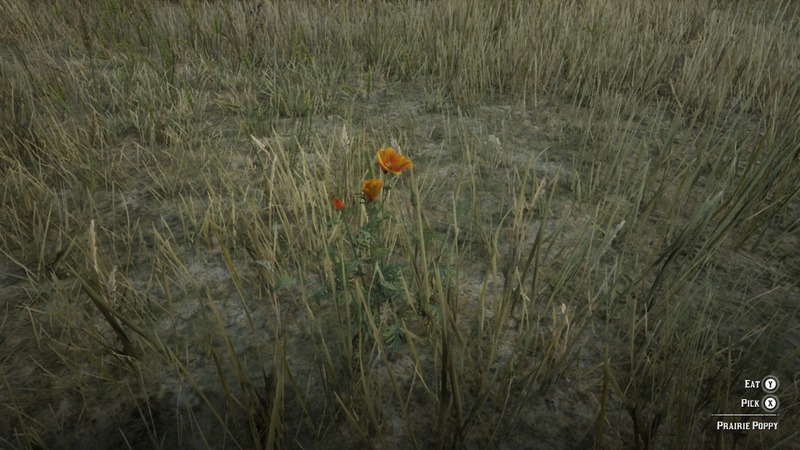 Not as plentiful as I remember it being in Red Dead Redemption 1. 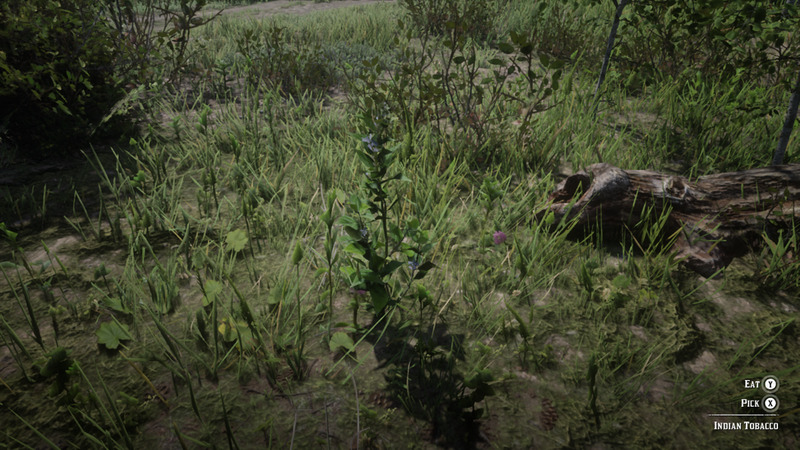 You can still find it outside of Armadillo. Note: I hate to be that guy who points out the obvious, but this should really say "11 types of meat that CAN BE seasoned". There's actually like 14 types of meat, but they can't all be seasoned. 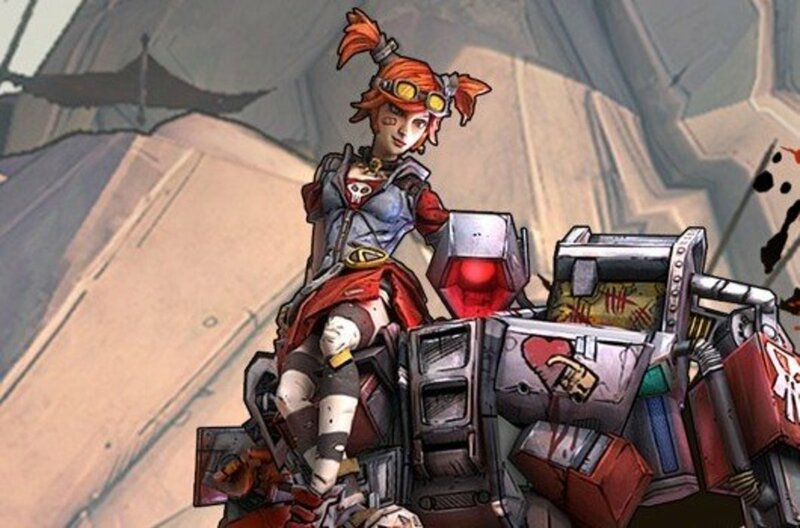 I know, pointless detail, but just saying. To season meat (hang on, that info's coming!) set up a Campsite, press X/Square to Craft/Cook (emphasis on the latter of course) and the Provisions tab will be already open. You know how to Cook food at this point, obviously, BUT to SEASON your meat (what you're going to eat I mean get your brain out of the gutter) press right or left on the D-pad to select a seasoning option. The three options are Minty (Wild Mint), Oregano, and Thyme (Creeping Thyme). Exotic Bird Meat: You can get this from Pelicans. 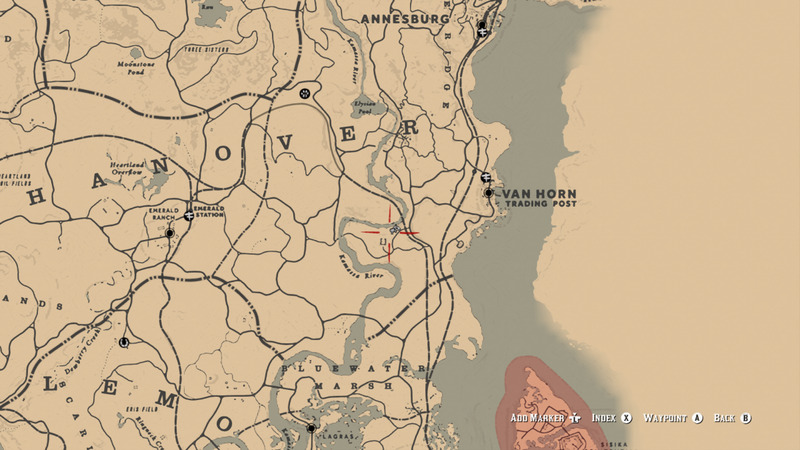 There's a few places to find them, but the most common (and easiest for me to explain) is just off the coast North of Van Horn Trading Post (see first screenshot). Plump Bird Meat: Can be harvested from Turkeys or Ducks for example. 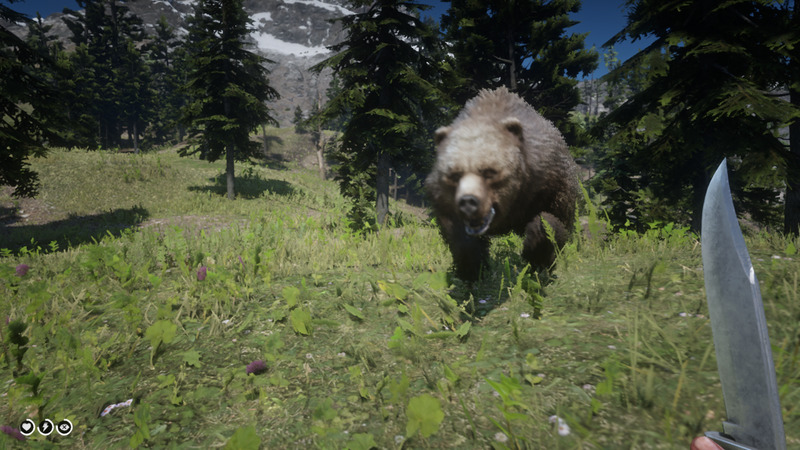 Prime Beef: You can get this from Bison, but if you don't want to search for this elusive beast, or piss off Teddy Roosevelt, you can buy it at the General Store and/or Butcher. Succulent Fish Meat: You can get this from fishing Salmon or Trout. 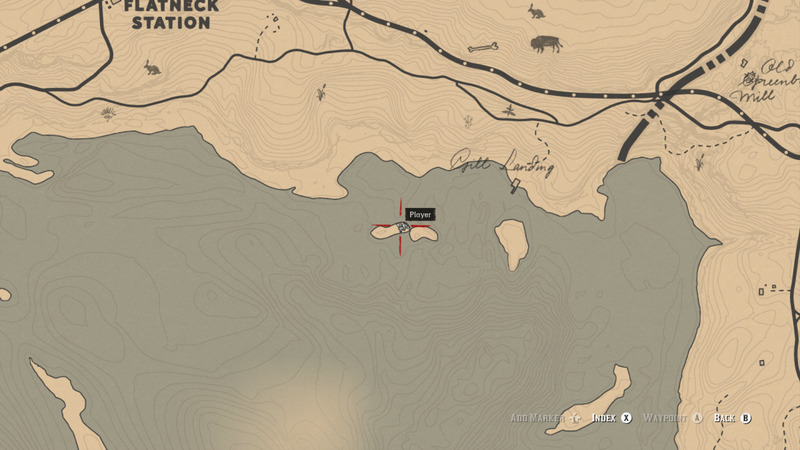 You can find Sockeye Salmon along the Dakota River using Worm as Bait (see third screenshot). Trout can be found along the Dakota River using Bread or Corn Bait. 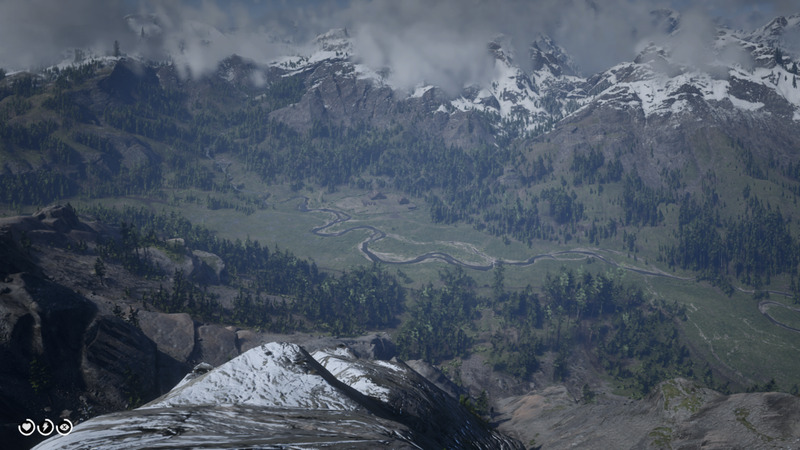 Mutton: You can get this from Bighorns OR if you don’t mind losing an Honor point (and possibly getting a Wanted Status) you can kill a domestic sheep in Emerald Ranch. Venison Meat: You can buy this from the General Sto... nah forget it just hunt a deer. 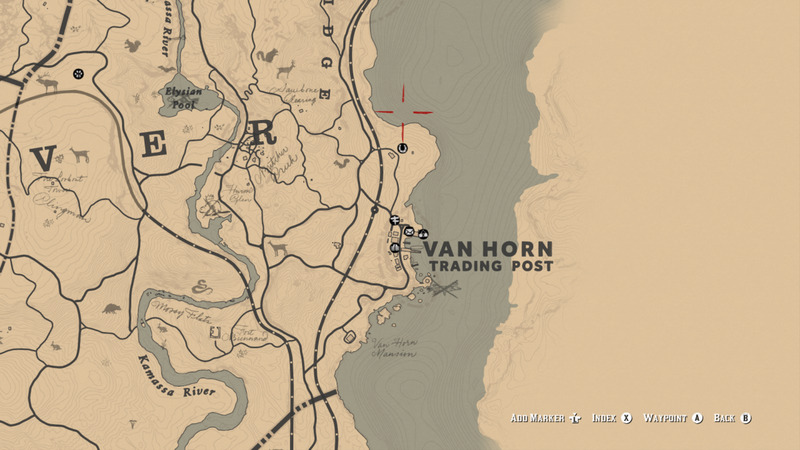 You can find Pelicans here, just North of Van Horton Trading Post. 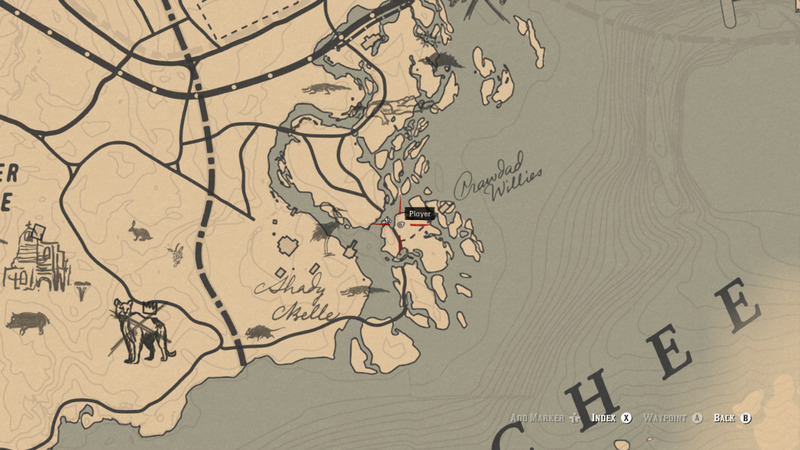 Here is a guaranteed location for Crabs. 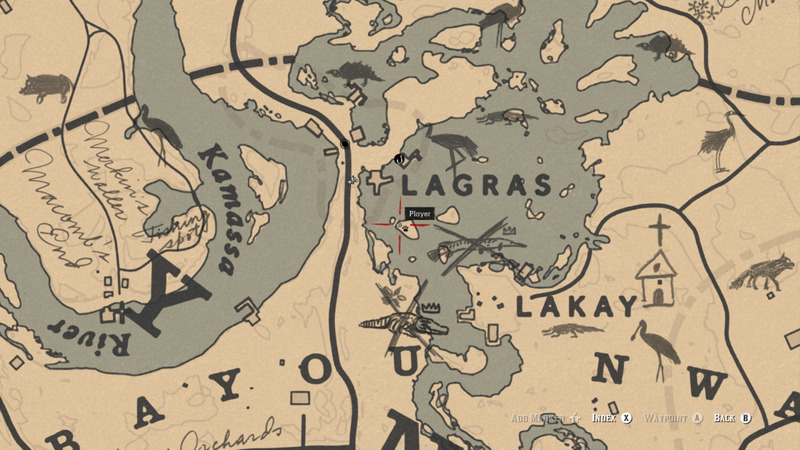 You can fish for Salmon here. You can also fish for them at O'Creagh's Run. Make sure to use Worm Bait or a River Lure. #9: "Thankfully most of the plants are very easy to find (some of which you already have)." Does this challenge not start counting the 43 Plant collections from scratch again? 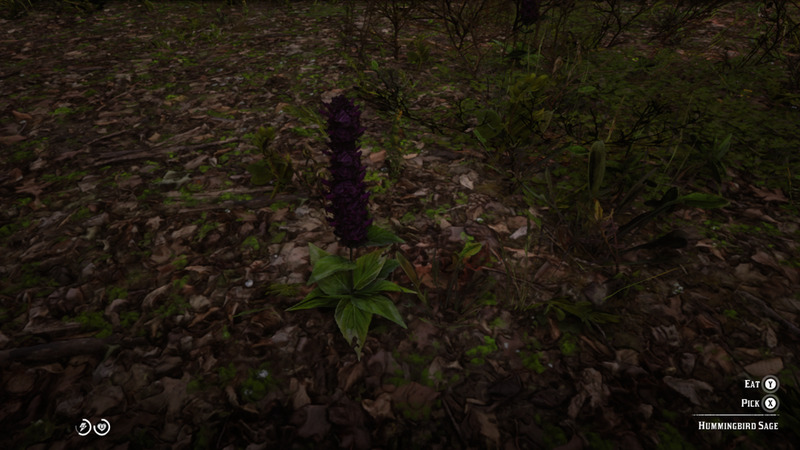 What I meant is that you already know the location of a couple of these plants BEFORE you start the Challenge. Yes, you DO need to collect EVERY PLANT again in order for the Challenge to count. 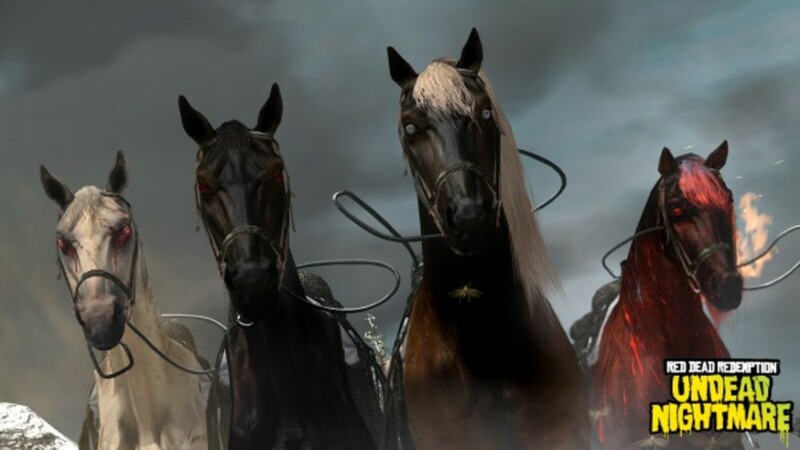 How to Find the Four Horses of the Apocalypse in "Red Dead Redemption: Undead Nightmare"